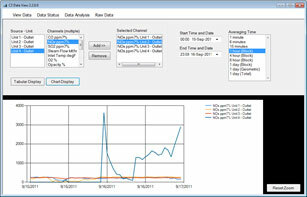 Cemtrac3 includes text and graphic screens that display process parameters on a continuous real-time basis. 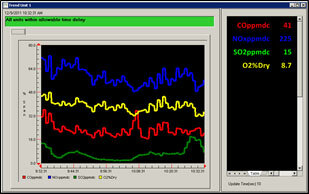 Real-time strip charts can also be created for various parameters. An unlimited number of real-time screens can be created and customized as part of the plant offering. The screens are based on an Excel spreadsheet and allow for easy customization and modification. On a continuous real-time basis, the system will display alarms related to exceedances or other reasons (for example, disruption in network transmission resulting in delayed data). The program can create an audible alarm. Reason and action codes are required for acknowledgement of alarms. On a continuous real-time basis, the daily calibration results are displayed. Color coding is used to indicate failed calibrations. 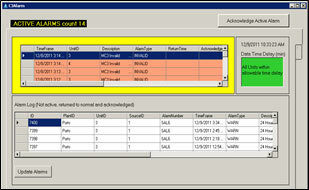 The Cemtrac3 reporting interface is flexible allowing for additional reports to be included. 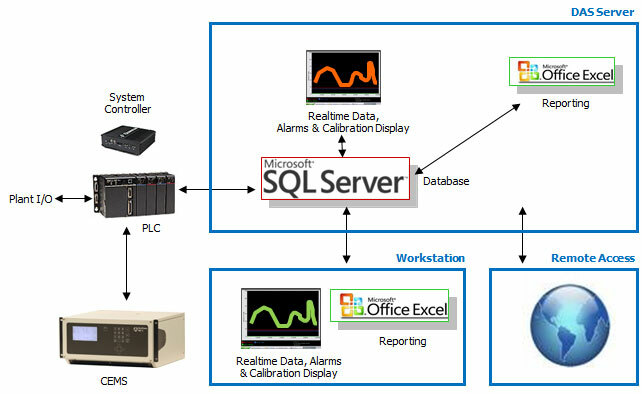 Standard reports (Excel based) include parameter values (one minute, 15-minute, hourly and daily averages), daily summary, calibration, downtime, and alarm reports. In addition, custom reports can be easily created depending upon site-specific requirements. 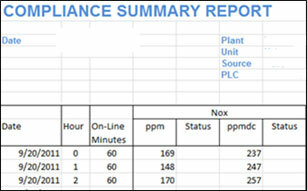 Reports can be automatically generated on a specific time schedule. A user-friendly interface allows easy retrieval of various parameters from different units. The data can be plotted and also saved in Excel format. This program allows the user to keep track of the calibration cylinder inventory. Existing cylinder information can be displayed, edited and new cylinder information can be added. Cemtrac3 allows the system administrator to access system parameters related to alarm reason and action codes, alarm levels and security parameters (user privileges and program access). This information can be displayed, edited and new information can be added to the database.